Nightflyers season 1 just released on Netflix in most regions around the world and if you’re looking for season 2, you’ll be disappointed to learn it won’t be arriving anytime soon. The decision wasn’t entirely down to Netflix and instead came down to the SyFy network. In case you haven’t seen just yet, the Nightflyers is the latest Syfy series to be internationally distributed by Netflix. It’s based on the George R.R. Martin novel who serves as an executive producer on the show. For those in the United States, you still haven’t got Nightflyers season 1 just yet. We are currently expecting season 1 to arrive by the end of the year in line with some of the other Syfy series which gets internationally distributed by Netflix. Now let’s take a look at the status of season 2. Has Nightflyers been renewed for season 2? According to Deadline, SyFy made the decision to cancel the Sci-Fi show. Naturally, Netflix would have been involved in the decision but if the SyFy network felt the show wasn’t worth investing any further time or money in then we can see why Netflix would have to pull the show. Reviews for the first season were not flattering and viewing figures fell from a high of 0.6 million to 0.42 million. In the end, SyFy opted to change the series from ongoing to a one-off limited season. With shows like Nightflyers where Netflix was involved early on, they pay SyFy for the rights to the show to distribute abroad but SyFy handles the production and US distribution. But because of the big money that’s involved with international distribution, both parties would have to agree on the decision to cancel. If Netflix were the ones to pulls out, as it did with Shadowhunters, it could be the case that SyFy cannot afford the production. In terms of story, there was plenty left to cover from the original novel plus how season 1 wrapped up. The first season wrapped up with D’Branin’s pod floating off into space with the big question being did everyone just survive the incident. When will season 2 of Nightflyers be on Netflix & Syfy? 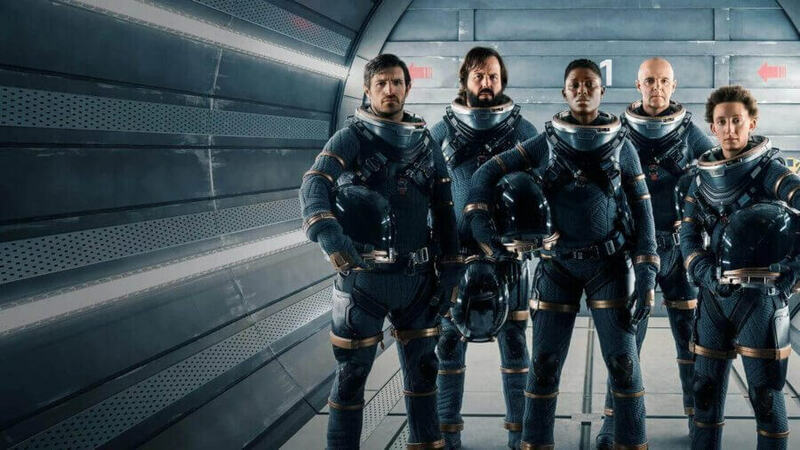 As we’ve discussed above with the show’s cancelation we won’t be seeing Nightflyers on either network anytime soon. The Expanse is the most similar show to Nightflyers and when that got renewed for its first time, it took two years for the follow-up season to release. Of course, that show has now been moved to Amazon and escaped cancelation. What do you think? Should Nightflyers have been renewed for a second season on Netflix? Let us know in the comments below.